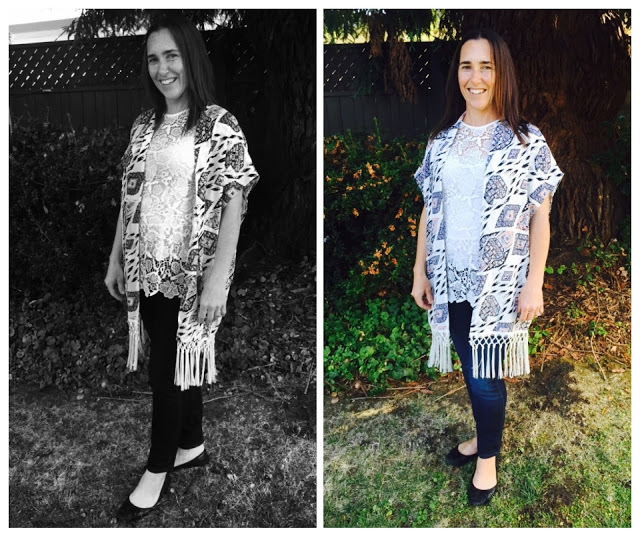 Yummo Mummo | How to dress for Black & White photos. How to dress for Black & White photos. A dear friend was preparing for a black and white photo session and asked for my help in finding the perfect outfit. When it comes to a photography session, it’s sort of a one-shot-kinda-thing so you want to get it right on the day when it comes to your wardrobe and makeup. So onto the outfit. I am showing you in B/W and color so you can see the outfit in real. But we chose wardrobe items that were comfortable, made her feel joy (to put an extra big smile on her face), made her feel confident, and worked well with B/W photography. Namely, patterns and textures. 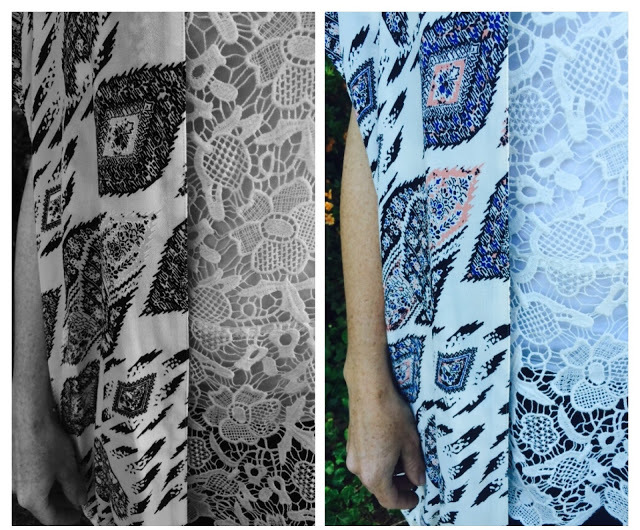 Texture in the lace top and pattern in the kimono. She paired it with some blue jeans for pure comfort. I’d suggest taking your smart phone into the change room and taking a selfie with the outfit on, so you can get a sense of how the outfit will look in black and white. 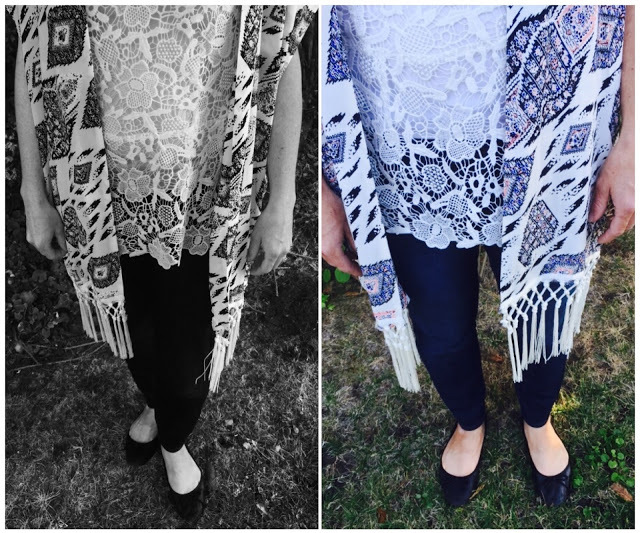 Love this outfit, a chance to play with a SS15 trend, The Kimono. I think this is Vince Camuto. From Nordstrom, current. The lace top is her own, Cabi, not current. 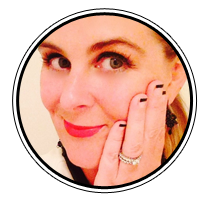 Following are some tips on clothing and make-up from Schumacher Photography, the company that did the actual photography session. (The photos you see here are by me, obviously not a professional photographer, but taken for the sake of example). The more your wardrobe reflects your personality, the better. Patterns and textures look great in black and white photographs. Wear clothes that you feel comfortable in. Avoid wearing clothing with logos. Wrinkled clothing can be distracting, so select clothing that does not wrinkle easily. For parents 3/4 or long sleeves are preferable to short sleeves. Neutral tones are always a good choice. Please avoid wearing blacks and whites. These tend to be too dark and too bright for black and white portraits. I found the following super helpful tips on Shutterfly. And we used this as a guide when shopping. “Color is important, but in a different way than you might think. When an image is rendered in black and white, the colors of the scene become varying shades of grey, from solid white to solid black. Blue will appear much darker grey than yellow, which will appear very light grey. It is the contrast of colors that makes a black and white photo interesting. Avoid wearing solid black or white. Contrast is very important. If your background is dark, you do not want to photograph someone wearing clothing that will appear dark and have him or her blend into the background. Same concept goes for a light background and light clothing. Choose clothing that lightly contrasts with the skin tone of your subject. This way they will appear as the focal point of the photograph. 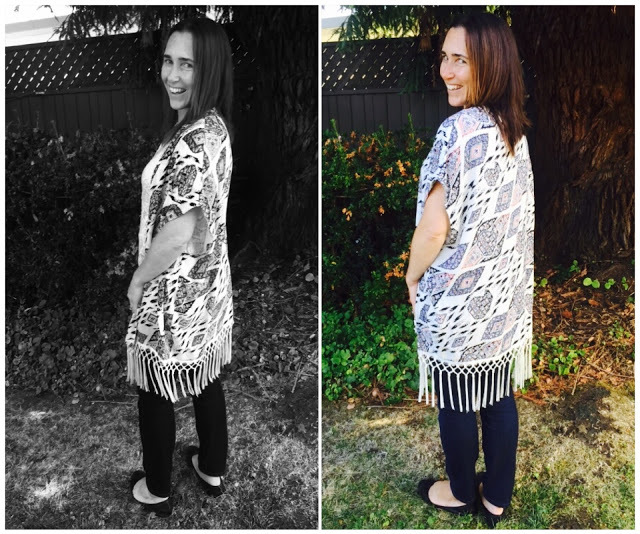 Look for clothing that has texture, rather than patterns. A nicely textured solid looks much better than a busy pattern or print. Subtle patterns or prints are ok, but avoid designs like wide stripes, plaids or repetitive patterns. For group photos everyone should not be wearing the same colors and style, but they should not conflict. Try to find complimentary styles and colors, but allow each person’s personality to be reflected in the clothing they wear. For the full article read Shutterfly’s article here. So I’m hoping you have found some super helpful tips on what to wear when being photographed in B/W. Summer is a great time to get your camera and capture the beautiful memories. « Make a Statement (jewelry). nice look! love the kimono! Wonderful tips for doing a great black and white photo! !